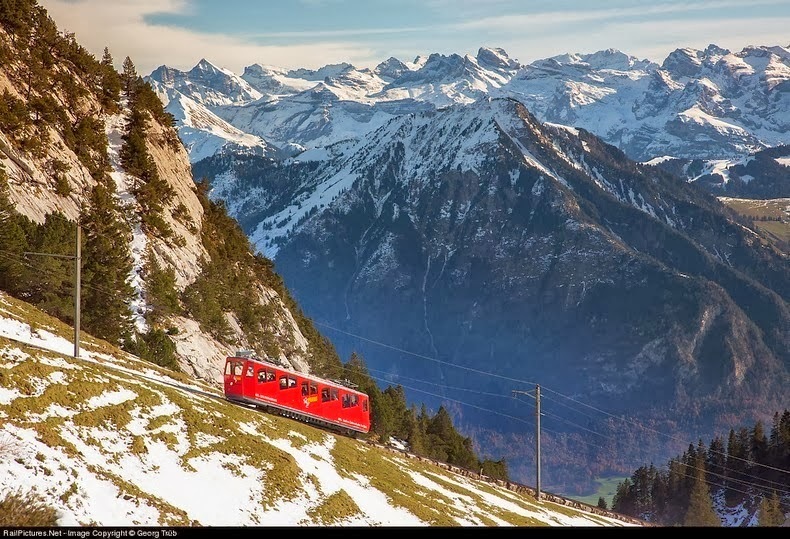 The Pilatus railway in Switzerland connects Alpnachstad on Lake Lucerne, to a terminus near the summit of Mount Pilatus at an altitude of 2,073 meter. The track climbs a slope of more than 1,600 meters in just 4.6 km, making it the steepest track railway in the world. It has an average gradient of 38% and a maximum of 48% - steeper than the steepest street in the world.